It is an unfortunate misconception that attorneys are happy to take on any clients who come through their doors. As you are well aware, attorneys are discerning professionals, and it is in your best interest to select clients who you will truly be able to help, and who, in turn, will be a good investment of your time and energy by performing a client background check. Professional legal service support investigations go above and beyond the research that any paralegal, administrative assistant, or legal database will ever be able to do for you. You don’t need general information about a potential client, you need details about the reality of their existence. Are they going to tell you the truth? Do they have a spotty record? Will they pay the bill? In short, could this client be trouble, and is taking them on a worthwhile choice? 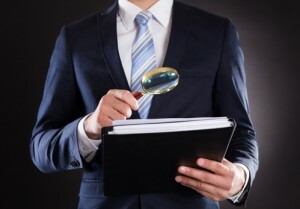 Professional investigators understand the investigative needs of attorneys. Outsourcing client background checks takes the responsibility off of your employees’ shoulders to uncover every last piece of necessary intel. Putting the job firmly in the hands of an investigator who knows every avenue to explore means you will have a thorough report on a person who will be aligned with your firm. Your law practice, whether a small office or large firm, cannot afford any stains on its reputation. Professionally conducted background checks help protect your name, investment, brand, and future from the shenanigans or regrettable behavior of any clients. A professional background check is also completed with such efficiency that you will be able to make decisions about a client quickly, which means they are not left hanging and you are not stringing them along for weeks or months. Many cases rely on timeliness, and being proactive about background checks allows you to get to work as soon as possible to help your client with their legal concerns, or suggest they go in another direction. It is important to reassure potential clients that any investigation you have done into their background will not be made public, nor will any personal details be unnecessarily invaded. Ultimately, you are saving yourself a great deal of stress and work by doing a bit of due diligence at the start of a client engagement. Consider a background check as your own personal form of insurance against unexpected happenings. Why Hire ASG for a Client Background Check? Whether you take on one new client a month or one new client a day, ASG handles the private investigative services you need to complete all background checks on potential clients. Not only is investigative experience our forte, our professionals also have extensive training, a vast network of relationships with information sources, and the research tools required to uncover as much pertinent information as possible for a legal professional. 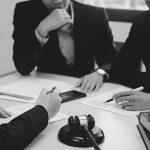 It is important to consider whether you would be proud to have your new client telling others you are their attorney, or whether you would be embarrassed to be tied to them in any way. Would this client be a stain on your position in the community or a feather in your cap? ASG is able to efficiently and thoroughly vet all potential clients so your legal career remains unblemished. Contact us today for more information.